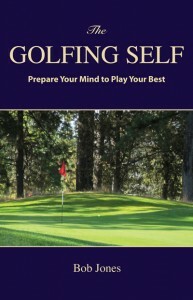 One of the first books on course management, and certainly the most famous, is A Round of Golf With Tommy Armour, published in 1959. Armour was a champion golfer from the 1920s and 30s, who became a well-known instructor and the author of several instruction books that were definitive in their day and are still valid in many respects. Armour takes a mythical player, Bill, who is about to give up the game because nothing he tries seems to work out. Armour agrees to play nine holes with him and his two playing companions during which time Armour will give Bill careful counseling on what shot to hit and how to hit it. 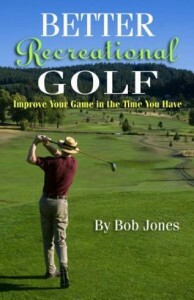 He won’t offer advice on golfing technique, just on how to play the game. The points below are the ones Armour emphasized (page references to the 1959 edition of his book). 1. Tee up from the correct side of the tee box. (15) This means to tee up on the side of trouble and hit away from it. 2. Do not play shots with high risk and little reward. (25) Do I have to explain? 3. Miss putts on the high side of the hole. (32) See Is the High Side of the Hole Really the Pro Side? 4. Use the right club chipping into a slope. (44) Generally that is a lesser-lofted club than you would normally use. 5. Play two easy shots instead of one difficult one to cover long distances. (74) See The Mathematics of Club Selection. 6. Play your mulligan first. 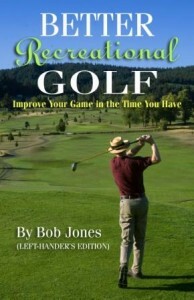 (78) Be prepared to hit the ball right the first time, not on your do-over. 7. Have a plan, for every shot, that leads to the hole. (82) Don’t play hit-and-hope golf. Know what you want this shot and the next one to do. 8. Don’t hit the shot until you feel right about it. (95) If you don’t back off and re-set yourself, or choose another shot. 9. Think of where you want the ball to go, not where you don’t want it to go. (102) When you say to yourself, “I hope I don’t hit it into the water,” it goes into the water because that is the last order your mind gave. 10. Hit short putts firmly into the center of the hole. (104) We miss very short putts because we get too delicate with them. Hit them with authority and they’ll go in.